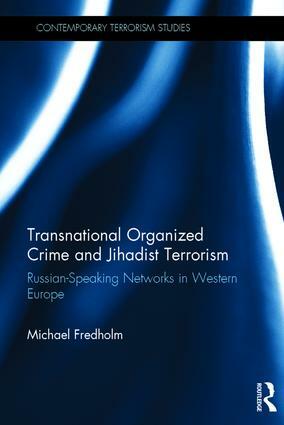 This book describes and analyzes the convergence of transnational organized crime and jihadist terrorism that has taken place within Russian-speaking social networks in Western Europe. Studies have shown that while under certain circumstances links between criminal organizations and terrorist groups appear, these are usually opportunistic and temporary in nature. Only rarely do they develop into something deeper and transformative, a convergence between crime and terrorism. This book reveals that Russian-speaking transnational organized crime and jihadist terrorism pose a serious threat to security and constitute a major challenge for law enforcement. Through their links with transnational organized crime, Russian-speaking jihadist networks from the Caucasus and Central Asia have easier access to weaponry, commercial explosives, and forged IDs than many other jihadist networks. Being in effect an integral component of transnational organized crime, the Russian-speaking jihadists can be assessed as potentially more capable than many other jihadists. The book assesses the effects of terrorism and organized crime on Russian-speaking diasporas in Western Europe and examines the implications for counterterrorism as well as policing on how to counteract the illegal activities of these networks. Drawing on Swedish court cases the work shows that an additional, and sometimes more effective way, to fight terrorism is by focusing on the non-terrorist types of crime perpetrated by terrorists. This book will be of much interest to students of terrorism and counter-terrorism, political violence, criminology, security studies and IR in general. Michael Fredholm is Professor and Head of Research and Development at IRI, Stockholm, Sweden. He is the editor of Understanding Lone Actor Terrorism: Past Experience, Future Outlook, and Response Strategies (Routledge, 2016).